After careful consideration, I was ultimately persuaded that the very negative effect that passive smoke has on children outweighed other concerns about the ban. Cars are small, enclosed spaces and it is clear that smoking within them has very detrimental consequences on people’s health. No-one wants to see a child’s health suffer, and in this position they can’t protect themselves. Most people who opposed the ban agreed with that view, but raised other important points, including a concern that it might lead to a ban on smoking in people’s own homes. I would not support such an extension of the law into our private lives. Another concern was the enforceability of such a ban. 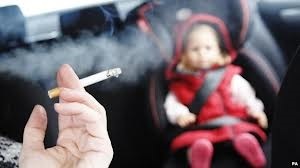 However, I was not persuaded that despite the difficulties of enforcement, this would not send a strong message to drivers that smoking when children are in the car is totally unacceptable. As we have seen with the requirement to wear seatbelts, and I believe we are beginning to see with the ban on use of mobile phones, these laws can have a real impact on behaviour. Of those of you who contacted me, around two-thirds were in favour of the ban. I am proud that this government has been granted the power to make it an offence for any driver to fail to prevent smoking in the vehicle when a child or children are present. This is an important, and ultimately liberal, step to safeguard the health of those least able to protect themselves.